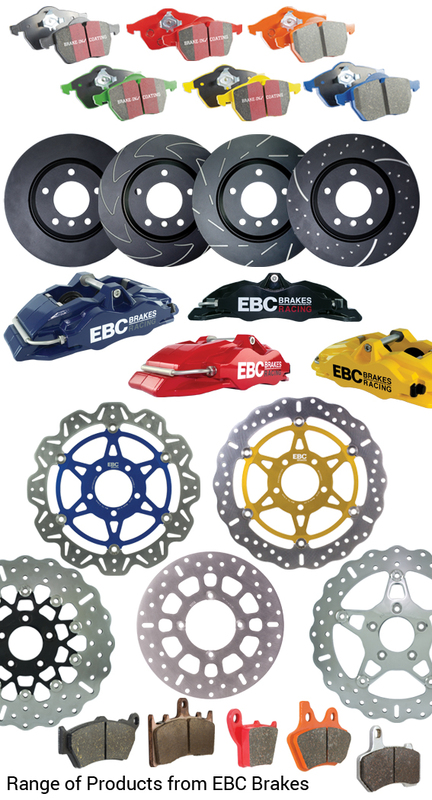 EBC Brakes is a world leader in the manufacture of brake components for the automotive, motorcycle, mountain bike and commercial vehicle markets. 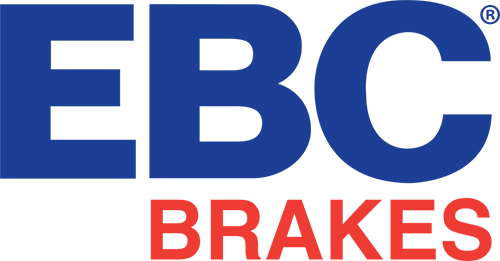 The company was established in the UK and Europe in the early 1980s when it developed the world's first range of aftermarket braking products. EBC expanded in to the USA market in the mid-1980s and we distribute our products to most countries around the world. 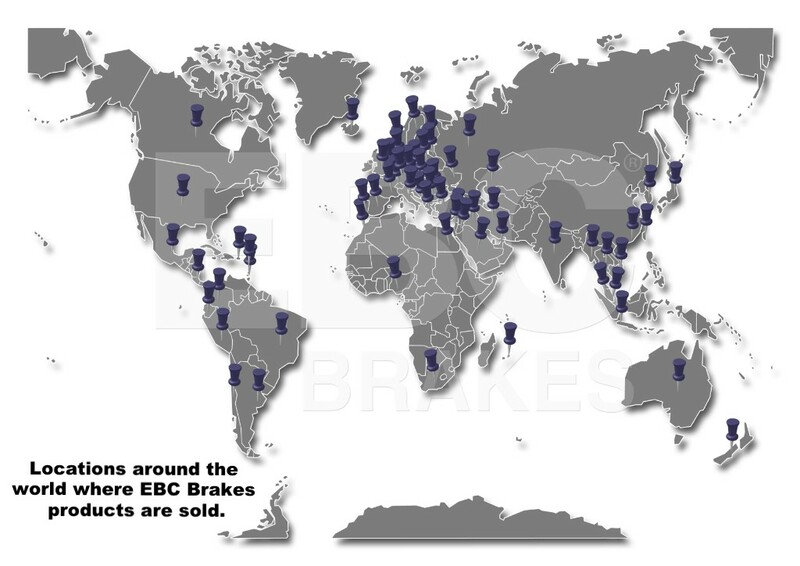 100% of the EBC Brakes brake pad range is is produced in its own factories in the UK and USA with 100% of EBC's own motorcycle brake discs being produced in the UK facility and a huge proportion of the automotive brake disc range is also UK and USA made. The EBC Brakes world headquarters in Pineham, Northampton was purpose-built in 2011 to give the company extensive manufacturing space and warehousing to ensure the company was able to meet the huge global demand for its range of products. After five successful years in the new building, the company needed to expand and an expansion plan was put into place. In the spring of 2017, a £10 million extension was completed which houses innovative engineering equipment and a research and development centre. With an impressive research and development department at our manufacturing facility - European Friction Industries Ltd - in Bristol, our engineering apprentices will learn every aspect of the manufacture of our product range. To maintain our high levels of success, we need to look to the future and ensure that EBC Brakes remains at the forefront of braking technology. We know that our continued success depends on the next generation of engineers and financial experts and their ability to innovate and sustain the company's growth. We want to attract and develop the best talent to carry out our future plans. As well as gaining work experience at our Northampton manufacturing and warehousing facility, our apprentices will also travel to our Bristol based manufacturing plant where they will gain a valuable insight into our manufacturing techniques and research and development processes. There are two options when applying for an apprenticeship with EBC Brakes - the Intermediate route or the Advanced route. Besides paying all tuition and course fees, EBC Brakes will also pay our apprentices a starting wage of between £145-£215 per week depending on entry level. Pay will be reviewed on a regular basis and all apprentices will be entitled to paid annual leave. We intend to recruit apprentices annually with a view to offering permanent and stable employment at the end of the training programme with the opportunity to specialise in one of the four career paths. Could you son or daughter be the apprentice we are looking for? Apply now for more information. For more details of the routes your son or daughter could take for the Engineering Apprenticeship Programme and the entry requirements, click here. For more details of the routes your son or daughter could take for the Accounting Apprenticeship Programme and the entry requirements, click here.